Business partnerships are fantastic things. A good partnership offers all the same benefits of being self-employed but with a built in colleague to weather it all with. Like all relationships, though, business partnerships require careful tending to ensure they remain positive. I am a big believer in the value of taking time to establish a positive grounding before you start. If you’re going into business in partnership with another person, whether they’re a spouse, friend, family member or former colleague, part of that grounding will include ensuring that the partnership is going to be sustainable over time. Though business partnerships often work extremely well… many don’t. This is shown in the rate of divorce in couples who work together as it’s much higher than the norm. It’s far from unusual for partnerships to hit a metaphorical wall two or three years into their business because the two parties just aren’t compatible to be in business together long term. There are ways to avoid this very common issue. I believe the most effective one is to invest the time before you start to ensure your partnership is up to the challenge. The best case scenario would be that this extra groundwork makes your partnership strong enough to succeed. The worst case is that it makes you realise the partnership isn’t going to work in business: which will save you time, money and heartache in the future. Do your strengths compliment each other? What are your personal values… and do they sit well with each other? Do you have a similar working style? Will you be able to happily work to the same routine, or two complimentary routines? What do you see as the perfect life/work balance? How do you approach finances? The point of this conversation isn’t necessarily to both come out with the same answers. Rather, it’s designed to flag up any potential frustrations before they become an issue. If these initial honest answers help you to discover that you have very different working styles, you’ll be able to make provision now, right at the beginning of your business, to find a way to accommodate them both. These conversations can often be difficult to have, especially if you’re not really sure where to start. You may wish to address this by bringing in a third party to facilitate discussion. Working with a professional mediator could be an excellent way to dig down into your partnership, unearth any as-yet-undiscovered problems and find a solution before they begin to weaken your business. A mediator would also be a great way forward if your initial discussions have brought up concerns and you and your business partner are unsure about how to proceed. If you think a mediator might be beneficial to your business partnership, I’d be very happy to chat to you about how I could fill that role. Why not give me a call or send me an email? Being in business with someone is a big commitment. This is true whether you’re in business with your spouse, a family member, a friend or a professional colleague. When you decide to go in on a venture with another person, it’s important to make sure you do ongoing checks to ensure you’re both still pushing forwards in the same direction. I call these ongoing checks partner audits. These are serious conversations that are best done at regular intervals. Many of the sets of business partners I’ve worked with have found that it works well to formalise these checks to distinguish them from their other everyday conversations. This works particularly well for business partners who are particularly close in other spheres of life such as spouses, siblings or best friends. Do you do a regular partner audit in your business? If not, I would definitely recommend it as something to think about. Here are five questions you may want to ask your business partner. One: Are we still moving in the same direction? Sometimes an unprofitable period can be explained by business partners who didn’t know they were actually working towards different goals. The best progress happens when you work together! Two: Have your priorities shifted? This relates to both your business partner’s priorities within the business and out of it. Depending on your relationship with your business partner, you may not know about any personal challenges they’re currently facing. Concerns at home or with their health could take their focus away from the business, so it can be really helpful to ask this question regularly. Three: Do we still want the same things from the business? Just because you wanted the same things when you started out doesn’t mean you will further down the line. Changing personal commitments might mean that the ideal work/life balance when you started out doesn’t work for you anymore. Equally, you may find that interests and passions shift over time and that one of you now wants to work towards slightly different goals. Four: Is there anything that isn’t working for you at the moment? Have you ever had a small niggling issue with someone you work closely with that has grown into a much bigger problem over time? Asking this question regularly can help you both to address those small niggles before they start to cause real resentment. Five: Are you satisfied with where we are? Dissatisfaction can be a dangerous thing, especially when it isn’t addressed. If your business partner isn’t feeling good about where you are in your business right now, you’ll want to know about it. There may be something you can do to address that dissatisfaction… or they may find that just saying it out loud makes them feel more in control. Some business partners are great at communicating, even when it comes to big questions like these. Others find probing questions more difficult to manage, especially when they suspect they may not get the answer they were hoping for. There’s often no correlation between how close business partners are and how good they are at managing a partners audit. In fact, I’ve worked with many sets of business partners who double up as married couples and still find it tricky to start these conversations! If you and your business partner fall into this category, please don’t use that as an excuse for skipping important conversations altogether. Big picture communication is really important when it comes to growing your business and preparing for the future. Instead of avoiding the issue, why not bring in a facilitator? An impartial third party could help to facilitate productive partner audits that really have an impact. Need advice on where to start or looking for someone you can trust to be that third party facilitator? I’d love to help. Why not get in touch? When you’re in business with someone you’re going to spend a lot of time together. It’s very likely that you’ll become close friends, if you weren’t already. Many business partners are partners in another sense too: I specialise in working with couples and families in business. (Side note: if you’d like to read more about couples in business, take a look at my interview series Committed to the Business and Each Other). All these things together, it’s often assumed that business partners are great at communicating with each other. Unfortunately, this isn’t always the case. I’ve worked with many partnerships who struggle with this… even if they’re great friends or spouses outside of the business! If you’re in a partnership with someone you’re close to, whether it’s a friend, husband, mother or brother, you may find my tips for effective communication helpful. When you’re in business with someone you have a personal relationship with, all lines can get blurred. You’re probably just as likely to discuss the children while at the office as talk about the yearly accounts at the dinner table. Conversations like these can become an issue as they make it difficult to draw the line between important work communications and family chatter. To avoid this, try setting some boundaries and sticking to them. You could decide to only discuss non-work topics over coffee breaks and lunch, and to stop the work chat completely when you leave the office. Almost all of us act differently when we’re at work and when we’re at home. For most of us this isn’t a problem as we’re surrounded by different people in each scenario. However, those of you who spend time with the same people at work and at home may find the shifts between modes uncomfortable. If this is an issue for you, try experimenting with seeing each other in different ways. Some close business partnerships benefit from using more formal language with each other at work than at home, or by calling each other by full names rather than nicknames. These techniques may sound silly, but they can help you recognise the difference between work behaviour and home behaviour. If you’re failing to get your message across to someone, it may be because you’re not presenting it to them in a way that tunes in to their preferred communication style. The benefit of working closely with someone you have a personal relationship with is that you know them really well. Use this inside info to ask yourself how they communicate best and adjust your style accordingly. It’s not unusual for business partners to struggle to communicate properly simply because they’re trying to protect each other’s feelings! Though its great to consider whether your partner is likely to have an emotional reaction to certain information, holding things back to avoid upsetting them is rarely healthy. Instead, try to make honesty your official policy. By all means share critical feedback and bad financial forecasts gently (and please consider an appropriate time and forum!) but don’t hold back important information. How do you and your business partner keep your communications effective? I’m keen to hear any tricks and techniques you use. Why not share them with me on Twitter? Many of us dream of starting a business with our spouse or a family member. These types of business can certainly seem idyllic: after all, who better to spend the working day with than a loved one? Of course, family businesses don’t always run smoothly! Throwing your professional lot in with a family member can also bring up a whole heap of challenges and misconceptions. One of those misconceptions is that family businesses don’t need to have formal meetings. I’ve sat down to talk with so many business people who have told me they’ve never bothered organising a board meeting. Why would they when they spend so much time with their husband/wife/partner/brother/sister/father/mother anyway? If you’ve ever found yourself asking that same question: let me tell you why board meetings are still important for family businesses. One of the biggest challenges for family and couple businesses is learning to separate work from play. If you don’t have formal meetings within office hours to discuss key issues such as development, targets and problems, it’s almost certain that you’ll end up discussing them at home. Setting time aside for those important discussions to take place within a formal board room setting can help to protect quality family time. If you have a problem in your business, is it better to discuss it in the office when everyone is in work mode, or to bring it up in front of the TV after a glass of wine? If you don’t have formal board room meetings, you may find yourselves discussing sensitive issues at inappropriate times. This can be incredibly counter-intuitive as it’s much harder to find a solution if you’re not able to be totally focused on the issue at hand. When you address business problems in a board room environment you’ll be much more productive in reaching a resolution. Once you reach a stage when you and your business partner have employees it becomes even more important to have formal meetings in the workplace. If you’re discussing the progress of your employees that really should be done in a confidential environment: not over the dinner table! Formal meetings will also mean you’re much more likely to produce practical targets that can be shared with your staff. No matter how small your business, it’s important to appear professional to your clients. The only guaranteed way to appear professional is to be professional! If you’re conducting impromptu business meetings at home with your family member, it may be more difficult to develop that professionalism than if you were organising formal board meetings within office hours. Have I convinced you? If you think you could benefit from more support like this, take a look at what I offer my business coaching clients. Why Do Family Businesses Need to Make an Extra Effort to Communicate? Clear communication is a vital part of any successful business. If you’re not getting your message across effectively to your customers, your colleagues or your employees, it’ll be difficult for them to fully buy into the vision you’re building. It’s equally important for business partners to communicate well, otherwise they could find themselves pulling in two different directions. It’s important to make this effort to communicate effectively even when you’re part of a family business. But in my experience, this often gets overlooked. 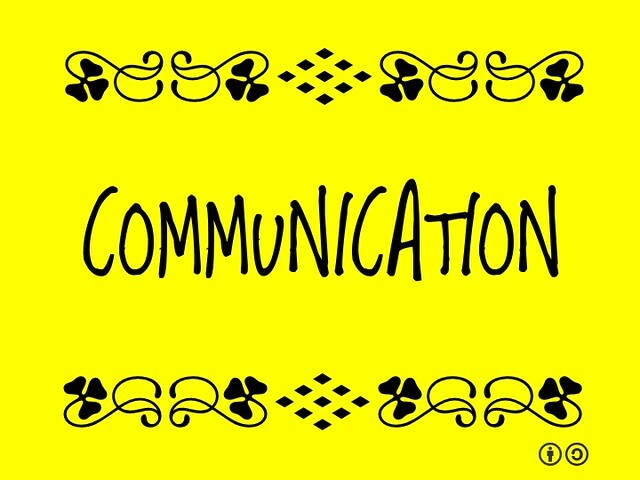 If you’re running a business with your spouse, partner or family member, you might expect communication to be easy. After all, aren’t you working with the person who knows you best? Family businesses tend not to make communication a priority as they assume they’re already on the same page. Assumption is dangerous in business! If you assume that your business partner feels the same way you do about how your business is going to be run but don’t talk about it, you may find you go about things very differently. You’ve been quoting prices to clients that include travel costs, but your business partner hasn’t. Your business partner has been keeping careful track of expenses and finances, but you’ve been putting your receipts in a box to ‘deal with later’. You’ve been letting staff work flexible hours, but your business partner has been expecting them to be there between nine and five. Your business partner has been producing content for social media that’s friendly and humorous, but you’re developing website copy that’s formal and authoritative. You’ve been giving clients access to extra support and resources, but your business partner hasn’t been including this. These examples may seem like small issues, but these kind of communication mishaps can develop into bigger problems very quickly. Small inconsistencies in quoting or services can lead to unhappy customers. Given time, one of these problems could blow up into a conflict between you and your business partner before you even realise there’s a concern. There’s a very easy way to avoid problems like these: communication. You may find it works best when you formalise it. Family businesses should still expect to hold meetings (in the office, not at the dinner table! ), develop strategy documents and agree on business processes. Don’t fall into the trap of thinking that you know what the other is thinking simply because you know them so well. If you’re part of a family business and are looking for more support, you might find this earlier post helpful: Nine Resources for Couples and Families in Business. The festive season is a great time to sit down with your family and talk. Many of us will have time off from our usual roles and responsibilities, and the chance to talk to our loved ones about something other than the usual day to day details of our lives can be golden. Perhaps this year you’ll talk about starting a business with your partner. Whether your passion is photography, marketing, accountancy or manufacturing: the lure of you and your partner becoming your own bosses can be very strong. If these dreams do start to turn into more concrete plans, there are lots of things to think about. If you’re thinking about going into business with your partner, my advice would be to consider these six things first. 1. Is your relationship strong enough? This may not be an easy question to answer, but I do think it’s really important to ask it. Running a business can be very draining and it can put a real strain on you both. If you know there are issues in your relationship, it might be wise to work on them before you start writing a business plan. 2. Are you both going into business for the same reason? People want to start their own business for many different reasons and you and your partner might not have the same one. If one of you wants to go into business to build acclaim for themselves while the other wants to do it so they’re free to finish early every afternoon: you may have a fundamental clash! 3. Do your skills compliment each other? In an ideal world business partners would all have different skill sets that compliment each other perfectly. Before you jump into buying domain names and setting up a website, you might like to sit down together and honestly assess what your skills are and whether you have the key areas covered between you. 4. How will you separate your work selves from your personal selves? If you’re going to be working together, think about how your relationship will be different in the office than it will be at home. You may be becoming business partners, but it will be important to make sure you have time together as life partners too. Discussing how you plan to make this work right at the beginning could save you from disappointments later on. 5. Are you compatible professionally? You already know that you’re compatible personally, but that doesn’t necessarily mean that you’ll be able to work well together professionally. The traits you love about your partner while you’re enjoying free time together may drive you to distraction once you’re in the office. Be honest about whether you think you’ll work well together! 6. Do you share the same values for your business? I’ve saved this point till last as it’s one of the most important. If you remember anything from this post I hope it’s this: if you and your partner don’t share the same values for your business now it will likely lead to big problems in the future. This is true whoever you’re thinking about going into business with, whether it’s your partner, a friend or a colleague. It’s really important that you have a clear shared focus of what you’re working towards and how you plan to get there. A new year can be a very exciting time, both personally and professionally. If you have big goals for a new or existing business in 2015, I hope you get some quiet time over the coming week to think about how you’ll achieve them! You might think that being in business with a partner or family member would mean you needed less outside support. After all, you’re spending every working day in close proximity to one or some of the people who know you best. However, in the work I do with this kind of business, I often find that the opposite is true. Though family and couple businesses can be hugely successful and efficient, the additional dynamics at play often mean that a pair of outside ears can be very, very valuable. If you think your business would benefit from a bit of outside support, look no further. I’ve gathered together a list of great resources you might benefit from. Family Business United is an online and offline community dedicated to bringing family businesses together. The website is packed full of interesting news and opinion pieces, and they also run annual family business awards. Speaking of Family Business United, they also run The Great British Family Business Conference. The 2015 event will be taking place in March and tickets are already on sale. If you’re looking for a book to help you navigate some of the challenges that come with being in business with your partner, this is a good one. I often recommend it to the couples I work with. I also recommend this book if you’re looking for guidance as a couple in business. It’s filled with examples and inspiring case studies, which can be very helpful. The IFB is a non-profit membership organisation that exists to support the interests of the family business sector. They campaign for policies that will help family businesses grow, provide resources, bring businesses together via their forums and run a yearly conference. Family Business Place is a dynamic organisation that exists to support and celebrate British family businesses. They publish Generation magazine, offer consultancy and strategy services, organise regular conferences and seminars, and share latest news on their website. If you’d like the chance to talk to some other people in your position face-to-face, keep an eye on the FiB community events page. They run a range of events including discussion forums, networking events and ask the adviser sessions. If you haven’t taken a look yet, I recently launched a new interview series on my blog. Each month I’ll be introducing a different couple or family business and speaking to them about their successes and challenges. Many business owners assume that working with a coach is only helpful when you’re at a crisis point. This isn’t the case. Working with a coach can be beneficial whatever stage your business is at, and can help you to grow, adapt and succeed without ever coming close to crisis! Have you come across any other resources that you’ve found helpful? Why not tell me about them either in the comments below, on Twitter or on Facebook? Whether you’re in business with your spouse, partner, parent or sibling, working with a family member can be tricky to manage. There can be some really great aspects of this kind of business, but there can also be challenges and complicated dynamics. In my experience, there is no such thing as the perfect relationship. Every relationship has it’s frictions, and it’s important to be open and honest about these frictions in order to move past them. If there are issues between you and your family member/business partner that get out of control, these issues will find their way into your business. Very few humans are able to successfully compartmentalise our emotions, and something you are struggling to deal with at home is bound to colour your dealings with your business partner at the office. In most cases, we will use a different type of behaviour when we interact with our spouse than we would with our parent or sibling. Equally, the way we act with business associates and colleagues tends to be different than the way we act when we’re at home. However, if you are working with a family member, the lines between these different role behaviours become blurred and it can be hard to know how to behave. This dynamic can become a problem when family or couple businesses take on employees. The type of parent-child or husband-wife role behaviour you are used to at home may no longer be appropriate within a more professional environment. When you work with someone you love, it can be difficult to be impartial. Some of us find it difficult to accept and address the weaknesses of our family members. Equally, within some family relationships it can be tricky to recognise that family members have particular strengths and expertise. Whichever way this issue plays itself out, it can be a problem within business. If you are blind to your business partner’s strengths or weaknesses, it can make it difficult to properly allocate work and make the most of resources. When you work with the person you live with, it can be very difficult to leave work at the end of the day. It can be tempting to discuss what’s going on at the office over the dinner table or during family time. Though this is undoubtedly convenient, over time it can put a real strain on your relationship outside of the business. It’s important to remember that you are family as well as business partners. Of course, though these dynamics can be particularly difficult for families and couples to navigate, solopreneurs can struggle with these too, especially if they seek business advice from family members. If you’re struggling with any of these dynamics, you’re not alone! Running a successful business is difficult enough without these added strains and many family businesses consider them to be stumbling blocks. Why not set aside some time to sit down with your loved one and discuss what you might be able to do to work towards overcoming them?